Happy Labor Day, Americans. 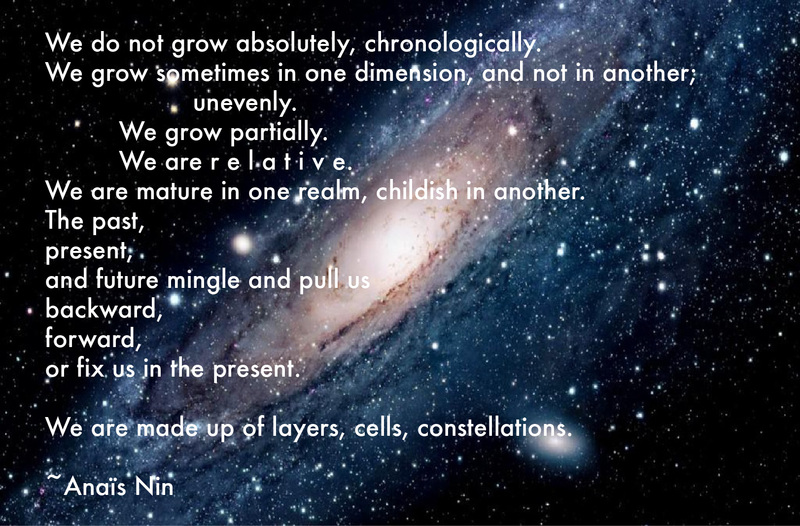 On this holiday honoring the noble workers, Ms. Nin eloquently conjures up the constant work it takes to just grow as individual seekers. I love how her descriptions layer upon each other; building from the atom, all the way to the universe. Her observation also makes it alright if we don’t develop like some linear computer program in black and white 010101010. We can be clear, opaque or translucent. We change our minds. We are nuances and surprises. We are like the millions of stars, morphing and evolving in the bright galaxy.